Australian pro audio giant, RØDE Microphones, has launched the RØDECaster Pro, the world's first fully integrated podcast production studio. 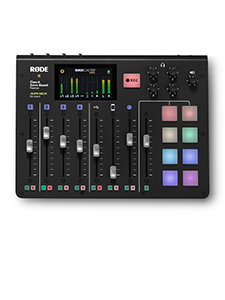 The RØDECaster™ Pro will change the face of the fastest-growing segment in the media industry – podcasting. You can be podcasting within minutes of opening the box. 4 microphone channels: Class A, servo based inputs able to power studio condenser microphones as well as conventional dynamic microphones. Pristine audio quality phone and app calls – with no echo (mix-minus). Easily adjust levels – no extra gear or messy set-up involved. Programmable sound effects pads: 8 colour coded sound effects triggers for programmable jingles and sound effects. 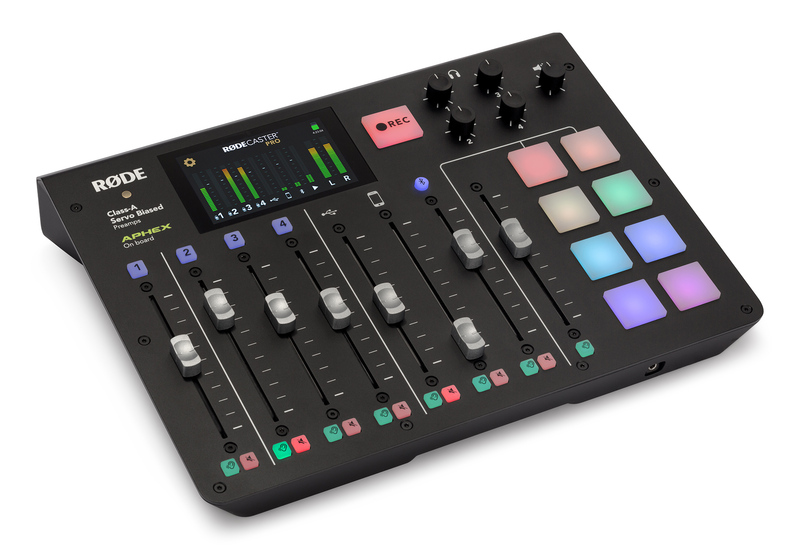 Programmable in the RØDECaster™ Pro or from your computer via the software. APHEX® Exciter™ and Big Bottom™patented processing for that rich, warm tone only found in professional broadcast systems. Also includes multistage dynamics: compression, limiting and noise-gating. A full colour, high-resolution touch-screen allows easy control of all settings, including EQ presets for a range of professional voicings. Four high-power headphone outputs and stereo speaker out, each with independent volume controls. Records direct to microSD Cardfor completely self-contained operation, or to your preferred computer and software via USB. 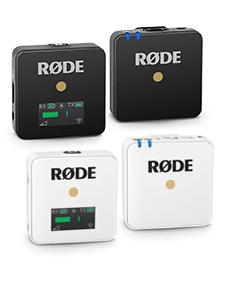 “We released our first podcast product, the Podcaster USB microphone, in 2004,” says RØDE Founder and Chairman, Peter Freedman AM. 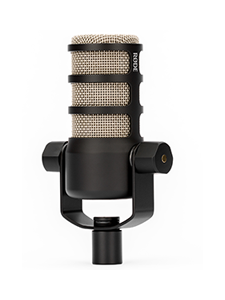 “Since then, our broadcast microphones, especially the Procaster and RØDE NT-USB mics, have become the microphones of choice for the growing podcasting and vlogging world. “The RØDECaster™ Pro Podcast Studio is a real passion project for us here at RØDE, and the natural next step in our mission to democratise the tools of creativity. It is truly professional podcasting made easy. The RØDECaster™Pro Podcast Production Studio will be available for sale in December 2018.